Review the history of the field of social psychology and the topics that social psychologists study. Summarize the principles of evolutionary psychology. Describe and provide examples of the person-situation interaction. Review the concepts of (a) social norms and (b) cultures. Explain why social psychologists rely on empirical methods to study social behavior. Provide examples of how social psychologists measure the variables they are interested in. Review the three types of research designs, and evaluate the strengths and limitations of each type. Consider the role of validity in research, and describe how research programs should be evaluated. Born into a prominent and wealthy family in Sweden, Raoul Wallenberg grew up especially close to his mother and grandfather (his father had earlier died from cancer). Early in life he demonstrated a flair for languages and became fluent in English, French, German, and Russian. Raoul pursued a college education in the United States, where he distinguished himself academically en route to completing a B.A. in architecture from the University of Michigan in 1935. Following a period during which he lived and worked in South Africa and then Palestine, he returned to his native Sweden, where he became increasingly concerned about the treatment of the Jews in Nazi Germany. His work in the import-export business took him to Budapest, Hungary, where by 1944 the Nazis were sending between 10,000 and 12,000 Jews to their deaths in the gas chambers every day. It was around this time that Wallenberg accepted a position with the Swedish embassy in Budapest. What took place over the next six months is an extraordinary and miraculous story of courage and caring. 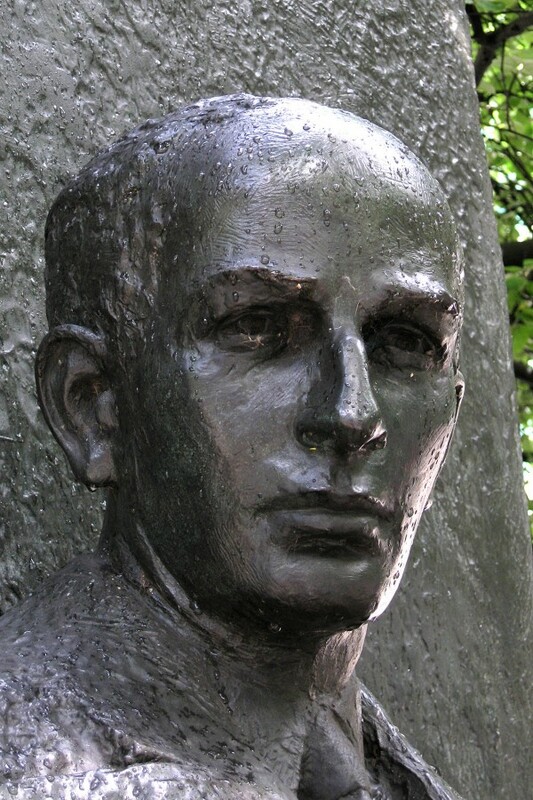 Deciding that he had to do everything in his power to help save the Jews of Hungary, Wallenberg began by establishing an office and “hired” 400 Jewish volunteers to run it so that they could receive diplomatic protection. Next, without his government’s authorization, he invented an official-looking Swedish passport, the “Schutzpass,” that he distributed to as many Jews as he could. This fake passport alone helped save the lives of approximately 20,000 Jews. He even set up 32 “safe houses” that became attached to the Swedish embassy and used them to protect 35,000 Jews. He worked long hours, sleeping barely four hours each night. He bribed, manipulated, confronted, and harassed officials in order to achieve his goal of saving the Jews of Hungary. As the Soviet army invaded from the east, the Nazis began to escalate their annihilation of the Hungarian Jewish population. Wallenberg promptly threatened the Nazi commander, indicating that he would personally see the commander hanged for crimes against humanity. The commander backed down and called off the assault, thereby saving the lives of another 70,000 Jews. Unfortunately, Wallenberg was arrested by the Soviets and never heard from again. Some reports indicate that he remained in a Soviet prison for years and eventually died there. Schreiber, P. (2014). The Story of Raoul Wallenberg. Retrieved from http://www.wallenberg.umich.edu/story.html. Social psychology is the scientific study of how we feel about, think about, and behave toward the people around us and how our feelings, thoughts, and behaviors are influenced by those people. As this definition suggests, the subject matter of social psychology is very broad and can be found in just about everything that we do every day. Social psychologists study why we are often helpful to other people and why we may at other times be unfriendly or aggressive. Social psychologists study both the benefits of having good relationships with other people and the costs of being lonely. Social psychologists study what factors lead people to purchase one product rather than another, how men and women behave differently in social settings, how juries work together to make important group decisions, and what makes some people more likely to recycle and engage in other environmentally friendly behaviors than others. And social psychologists also study more unusual events, such as how someone might choose to risk their life to save that of a complete stranger. The goal of this book is to help you learn to think about social behaviors in the same way that social psychologists do. We believe you will find this approach useful because it will allow you to think about human behavior more critically and more objectively and to gain insight into your own relationships with other people. Social psychologists study everyday behavior scientifically, and their research creates a useful body of knowledge about our everyday social interactions.